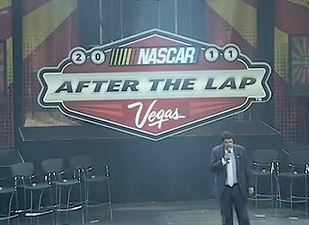 NASCAR Champions week comes to Las Vegas the week of December 3 – 8, 2013. This is the fifth year that Las Vegas will host this event, which they stole from New York. Las Vegas offers a much better venue than does New York. Sorry New York but this event is just way better in Vegas. This year is a little different because they have 13 drivers involved in champions week instead of 12, this was due to a cheating scandal that rocked the NASCAR world at the end of the regular season. It knocked out Jeff Gorden and included Martin Truex Jr. but after NASCAR imposed penalties it put Jeff Gordon back in along with Joey Lagano and kicked out Martin Truex Jr. This is a great week to see the drivers in a much different atmosphere than on the race track. There is a lot of up close access. Autograph sessions and if You are really lucky, maybe a surprise meeting in a casino, drivers acting like normal People. Fremont Street Experience is will host Fanfest on Wednesday, December 4, at 1:30 p.m. All 13 drivers will be involved in this fun up close event. This is the silliest You will get to see the drivers. They will walk the red carpet but they are not dressed up so they look pretty stupid and they know it. They will sit on a stage in the middle of the Fremont Street Experience as the host tries to embarrass them as much as possible. Since this is Las Vegas, much of the audience will already be drunk so this interaction can be fun. This is event is free, get there early for a good spot. Audience members will have a chance to win tickets to the NASCAR Sprint Cup Series Awards on Friday, December 6. Free to the public, nascar.com. The award banquet is closed to the public except for these lucky winners. The Chase for the Sprint Cup Parade is At 3:30pm on December 5 be at the best location on the Las Vegas Strip, in front of the Planet Hollywood to see the Drivers driving their race cars with a special passenger. See them actually perform a pit stop in front the bellagio fountains. The trick in Your pictures is to get the fountains or some iconic sign in the background as You get the cars. This is something new and it is open to the public for a reasonable price. Tickets are still available now. You could say this is a similar event to the Fremont Street event except You might see that a few drivers have also had a few drinks by show time. The nationally televised NASCAR Awards Banquet is December 6.. The biggest event is the big banquet itself. The Driver’s and their “plus ones” walk the red carpet and the top 10 get to go on stage to give a speech. That happens on December 6 and You cannot get into this event unless You win a spot at the fanfest event. But We really want to know what Amy will wear, right? Amy is the now famous Girl Friend of the most popular driver, Dale Earnhardt, Jr. Will Junior wear a beard or be clean shaven? This even has been on the speed channel in years past and it should be on foxsports1 this year.